If you have been following me on my social media accounts, you might have seen that am posting a lot of stuff linked to Steemit recently. What is Steemit, you ask? 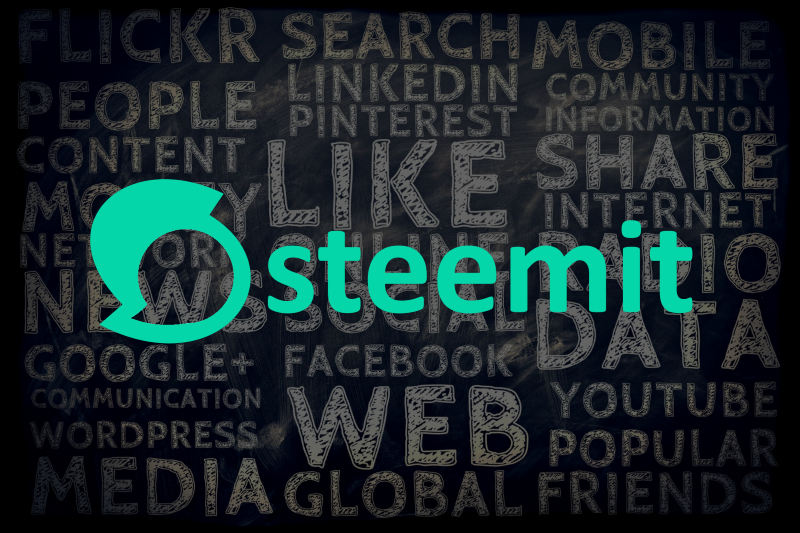 Read on to explore what Steemit is, and how it changed my social media activities. What the h*** is Steemit? Steemit is a social network that (might) pay you for using it. You can earn rewards for posting quality posts, for commenting on others posts and also for curation (voting on other people’s posts). There is a learning process (which I am still in, even if I advanced already a little), but you can also use some bots to get some attention and make money. Better and also more sustainable than (only) using those bots, however, is to participate in the community itself by commenting and voting as well as taking part in one of several challenges on Steemit. Take a look at the extensive FAQ on Steemit to learn more. Being on Steemit also includes promoting it on my other existing social network accounts. And of course, I do share my posts on Facebook and Twitter, using the proper hashtags to make people (hopefully) curious. Yesterday, I took the time to review my last month activity on those popular and established networks. My former daily social media routine included Twitter, Facebook, and Instagram to explore new stuff and things that interest me, besides following certain RSS-Feeds (using Inoreader). Over time, one follows a lot of accounts because of a few posts they made, but once they are no longer interesting, we do not remove them. So there is a whole lot of bullsh*t in our timelines, and it takes a lot of time to get rid of them. Also, the networks themselves do promote posts we might be interested in, which (at least for me) often miss their targets. The result is, that I avoid using these networks in my daily routine and even stop interacting with them. They are “stealing” my time, literally, if I use them. Steemit has a few interfaces and apps that make it a bit easier for me to see the stuff I am interested in. Not so much on my developer interests, but on all other interest I have (sadly, there is very little activity of the .NET community on Steemit). So in my daily routine, Steemit took already over Twitter, Facebook, and Instagram. I do check the later ones only occasionally or when I get a notification that someone interacted with one of my accounts. This is the first time this happens within just a month. I am posting a lot of stuff I would normally post directly to the established ones on Steemit, just to share a link to my Steemit account on those after that. I could also stop that, but I do hope that I can help to promote Steemit to the outer world by doing so. Steemit is a blockchain based social network rewarding its users. The beginning of my Steemit journey was comparable with the one I had when I joined Twitter or Facebook years ago. You need to find out how everything works, build some connections, interact with others. The Steemit community (at least the parts I am interacting with) still has its spirit, which I am missing on the established networks for a long time. I will continue to focus my social activity on Steemit and to improve my interactions. I hope some of you will join and follow along.